Trinity has been ranked as the Top College for Innovation and Entrepreneurship in the state by the Kerala Startup mission consistently over the years. Trinity is proud to be pioneer in faculty entrepreneurship in the nation. The Trinity Model involves faculty setting up core engineering consultancies and startups. Our campus hosts both product and service companies. As Malayala Manorama daily pointed out, our professors are “Prof. CEOs” who teach as well as run firms operating with the latest technologies. The presence of such engineer-professors helps our students get exposed to cutting edge developments in the field, understand hands on engineering and be guided by real professionals. Al Adrak Trading & Contracting LLC, a leading, results-oriented Omani engineering construction company headquartered in Muscat, launched operations in 1986 as a modest enterprise with a small team of professionals. Al Adrak steadily grew under vision of its founder, Dr. Thomas Alexander. A civil engineer by profession, his keen foresight, industrial acumen and determination to leave a mark are the traits that continue to be inspirational to all employees. Today, Al Adrak LLC has grown into one of the largest engineering construction firms in Oman with over 5000 strong workforce backed by a multidisciplinary team of professionals. C&T Consulting Engineers are a group of experienced and technically qualified engineers in the field of Electro-Mechanical Engineering. Their members are professionally qualified and having profound experience in design, estimation, execution, commissioning and testing of HVAC, Electrical, Plumbing and fire-fighting systems. Some of them have independently completed many projects not only in India but abroad also. They have proved competency in marine and Oil & gas field also. Their group members have successfully completed HVAC system in ships, offshore plat forms, rigs and other marine applications, across the world. There are 4 staff working in C&T, IEDC Trinity. 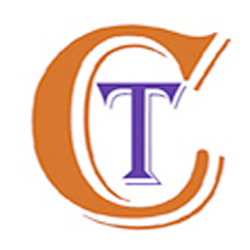 C&T Consulting Engineers are a group of experienced and technically qualified engineers in the field of Electro-Mechanical Engineering. Their members are professionally qualified and having profound experience in design, estimation, execution, commissioning and testing of HVAC, Electrical, Plumbing and fire-fighting systems. Some of themhave independently completed many projects not only in India but abroad also. They have proved competency in marine and Oil & gas field also. Their group members have successfully completed HVAC system in ships, offshore plat forms, rigs and other marine applications, across the world. There are 4 staff working in C&T, IEDC Trinity. C&T is one of the leading MEP consultants doing projects across the world for building and marine applications in construction industries. C&T presents a carrer oriented MEP course for mechanical engineering graduates. The new course is structured and developed by a group of engineers with 15-20 years of experience in the MEP field. The course cover technical and design aspects of various MEP systems which is having wide range of oppurtunities in India and especially Middle East. 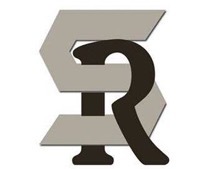 SR Associates is a group of young, energetic and innovative set of engineers who aims at providing state of art facilities in the field of consultancy, project works etc. Our main motive and advertisement of our brand name lies in the satisfaction and the relaionship we have with our customers. 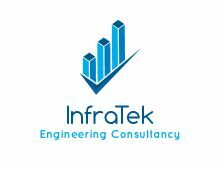 Infratek Engineering Consultancy owned by our Trinity Civil department faculties. We do concrete strength tests, soil sample analysis, water quality analysis and apart from these laboratory tests we do building drawing, modelling and estimation works. The lates entrant among the companies on campus, Protohertz is from the faculty of the Department of Electronics and Communication Engineering. Blesson, Titto and Krishnanunni have established the company to focus on embedded systems design and Internet of Things. They also conduct tarining programs and workshops on various new technologies in the filed of elctronics and communication. It is a software service company based at Changanacherry, Kerala, India. The company was established in 2011 with the goal of helping individuals and businesses build their business by leveraging the power of Information Technology. “Help others grow and we will also grow” is the philosophy that is driving itmarkerz technologies, and is the reason for their growth from its humble beginning. AIT is a certified company which has been in the bussiness of IT enabled services for a long time. We offers US bank works as well as IT services. We as a company are into product development using Computer Aided Engineering (CAE) and simulations. The advent of latest technology enables us to trace down the flaws within a design and obtain best possible rsults. We provides comprehensive solutions and services to the automotive industry: Full Vehicle Crash, NVH, Durability, Non-linear FEA, Competitive Benchmarking, Computational Fluid Dynamics (CFD), Manufacturing Engineering and product development, Bio Mechanical, technical staffing, innovation and project consultancy.